Forget graphene, there’s a whole host of new 2-D materials in town, that are ready to take the world by storm. And trust us, they’re really rather incredible! Back in 2004 the engineering world was rocked by the news of a discovery that would change the face of the field of materials science forever – graphene. This miracle material takes the crown for being the world’s first two-dimensional material and captivated the imagination of scientists and engineers the world over. Ultra tough, 200 times stronger than steel, and more conductive than copper, it’s not difficult to see why either. Oh, and what makes the discovery of graphene even more remarkable is that around this time physicists were only just beginning to wrap their minds around the concept of how a 2-D material could even exist! But fast-forward to 2015 and things have changed. The awareness of our ability to thin materials down to a single atom has spread like wildfire throughout the world and researchers are looking beyond the carbon atoms of graphene to produce an array of ever more innovative materials. If you’re wondering what all the fuss is about, it’s because 2-D materials are truly incredible. They behave very differently from their 3-D counterparts and it’s this that has created so much excitement. These materials are endowed with an array of surprising electronic, mechanical, and optical properties, and what’s more it’s hoped that they could bring these to all sorts of exciting new applications. 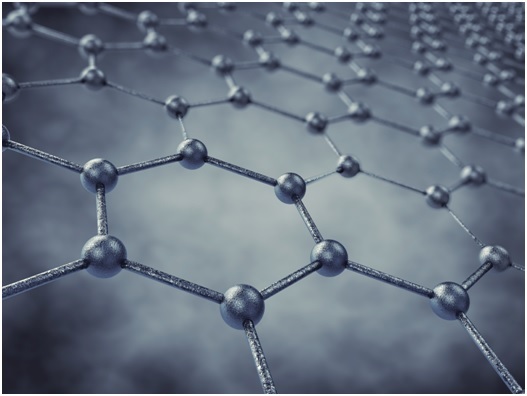 The granddaddy of the 2-D materials revolution is undoubtedly graphene. Following the first successful isolation of graphene back in 2004, the world went mad for this material. Yet despite intensive research into the unique properties and potential applications of this wonder material, it has not quite lived up to all the hype. So far, the material can only be found in a small number of niche products. If you’re wondering why, it’s because as magnificent as this material may be, harnessing its potential has proved much more difficult than anticipated and graphene is now in danger of being surpassed by its descendants! Molybdenum is one of the first 2-D materials to emerge in the wake of graphenes discovery to attract significant attention. This silvery black solid, which is similar in appearance to graphene, is nothing short of extraordinary. When thinned down to a single monolayer, it becomes a highly effective light source, that is 10,000 times brighter than its 3-D counterpart. Hence there’s no denying that the potential applications of this material in the energy sector are pretty exciting. Another tantalising 2-D material to emerge in recent years is Silicene – which is basically what you get when you reduce silicon to an atom thick layer. This material is able to conduct electricity faster than any other commercially available semiconductor. And because silicon is already so ubiquitous in electronics, it could be much easier to adopt than other 2-D materials. But these are likely only the first of many new exiting materials to come – so watch this space! Here at European Springs as leading manufacturers of a fantastic assortment of state of the art spring products, including die springs, we’re passionate about materials, and understand just how important finding the right ones can be. That’s why we only ever use the highest quality materials in all of our spring products, which are specially selected for their fantastic properties. For more information about our services, please don’t hesitate to contact us our friendly team today, by giving us a call on +44 (0) 208 663 1800.